Barbara Kerr's philosophy; "You have to genuinely care about people to have a successful career in Real Estate." Barbara spent 25 years caring about, and helping people find or sell their homes, before opening her own Real Estate Brokerage. Realty Executives Premier debuted in 1996 on the border of Fullerton and Brea, in Orange County, CA. Using that simple philosophy throughout the years, Barbara has cultivated her expertise in buying and selling Residential, Commerical, and Income producing Real Estate for the bebefit of her Clients. She also acquires property for Developers and is a seasoned Listing Broker for Hud in disposition of REO's. In addition, Barbara operates a Property Management division, and also purveys an onsite Escrow division to conveneince her Clients and Agents. In 2001 Barbara purchased the well know Atwater Building located on the corner of Harbor Blvd and Hermosa in Fullerton, CA. It would become Realty Executives Premier's new home and she spent the next 4 years rebuilding the site to create the perfect working space for her Sales Agents combined with an optimum Client friendly setting. With state of the art facilities and equipment, along with a plethora of marketing tools and training, her business has flourished. As a Broker, Barbara enjoys the challenges of hiring, and training agents to reach their greatest potential. Both of Barbara's children, Brad Kerr and Holly Kerr, followed in her footsteps and have become successful Real Estate Professionals. Barbara never stops striving for personal and professional improvement and growth and recently launched a new division of Realty Executives Premier, called Kerr Fine Homes, specializing in buying and selling distinctive properties to discerning clientele. In Barbara's spare time she enjoys managing her personal portfolio of Real Estate and is currently overseeing the construction of her vacation home in Huntington Beach, where she can relax and enjoy a competitive game of ping pong with her 5 grandchildren. 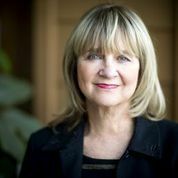 Barbara Kerr and her professional team of seasoned agents has bought and sold thousands of properties and use the lastest marketing techniques to maximize exposure and minimlize days on the market. She is seasoned in 1031 exchanges, Seller financing and can assist with all types of real estate transactions. Considering purchasing income property? Barbara Kerr's vast experience with multiunits allows her to assit you in selecting a solid cash producing property and represent you through all phases of the aquisition. Schedule an appointment today to discuss the benefits of diversificaton from the stock market and the benefits of Real Estate Investing, creating cash flow and building equity through appreciation. Whether it is finding a qualified tenant, helping with eviction, handing repairs optimally, or just collecting rents, Barbara Kerr will take care of all aspects of property management to perserve the value of your property while generating income. She will insure that you are in compliance with the current laws and regulations and take care of the maintenance, including preventative maintenance, repairs or corrective maintenance and ordinary routine cleaning with prudent financial and budgetary consideration. Barbara's property management fees are very competive.